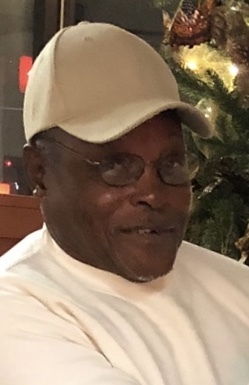 Brother James Moses "Mink" Cross, 75, departed this life Saturday February 2, 2019 in Marion County. You may visit the family at 836 Bluestone Court, Marion. He was the father of Tanisha Tennie, James Hyman, Angela Hyman, Dave Brantley, Mike Brantley, Shaila Cross, Shilla Cross and Angela Godbolt Wheeler. Funeral services are scheduled to be held at the Pleasant Grove Baptist Church Saturday February 9, 2019 at 1:00 pm. He will be laid to rest in the Devotion Gardens Cemetery, Mullins. James Moses Cross, departed this earthly life on Saturday, February 2, 2019, at the Marion County Medical Center. He was the son of the late Clifford and Maggie Howard Cross. He was born on December 7, 1943, in Marion County, South Carolina. James was educated in the Marion County Public Schools and Florida Schools. He then moved to Atlantic City, New Jersey where he met the love of his life, Clara Mary Hyman. James “Mink”Cross as he was affectionately known, loved to work in his yard, garden and fix on cars. When he returned to Marion he was employed with SC Department of Transportation until he retired. Mink didn’t meet any strangers and would help anyone that needed help. James “Mink” Cross was married to the late Clara Mary Hyman-Cross and to this union they were blessed with 3 children. Preceded him in death were 3 brothers and 1 sister; Joe Cross, Jimmie Lee Coit, Otis Cross, and Flora Gleaton. “Mink" leaves to cherish his memories-his loving children: Angela L. Hyman (Selma, NC), James Hyman (Charleston, SC), and Tanisha C. Hyman-Tennie (Dewayne) ,Mike Brantley (Balinda) (New Jersey), Dave Brantley (Washington D.C), Shaila and Shila Cross, Angela Godbolt -Wheeler (Mullins), five sisters: Lillian Reaves of Rains, SC. Shirley Cross, Janie Alston, Doris Rowell, Delores Williams all of Marion, SC, two brothers: Sammie Cross, Clarence Cross both of Delray Beach, FL. three aunts: Alice Nichols, Janie Mae Brown, and Celia Cross. A special nephew Bryant O. Cross of the home. A host of faithful and loving grandchildren, great-children, brothers-in-law, sistrs-in-law, nieces, nephews, cousins, other relatives and friends.